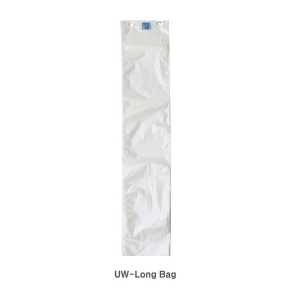 We are pleased to offer replacement long (full-size) replacement wet umbrella bags for both Single and Double Dispenser models. Made with HD Polyethylene, these long bags are designed to re-stock the full-size insertion chamber on both Single and Double Dispenser models. Please Note: Single Dispenser models feature long bags (sleeves) only. Double Dispenser models feature both long and short bags. If you have a Double Dispenser model, please ensure dispensers are fully re-stocked by ordering additional short bags.